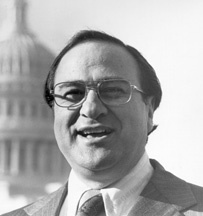 Senator James George Abourezk is a former Democratic United States Representative and United States Senator, and was the first Arab American to serve in the United States Senate. He represented South Dakota in the U.S. Senate from 1973 until 1979. In 1980, Abourezk founded the American-Arab Anti-Discrimination Committee (ADC) in response to stereotyping, defamation, and discrimination directed against Americans of Arab origin. Abourezk now works as a lawyer and writer in Sioux Falls, South Dakota. He continues to serve ADC as a member of the National Board of Directors.